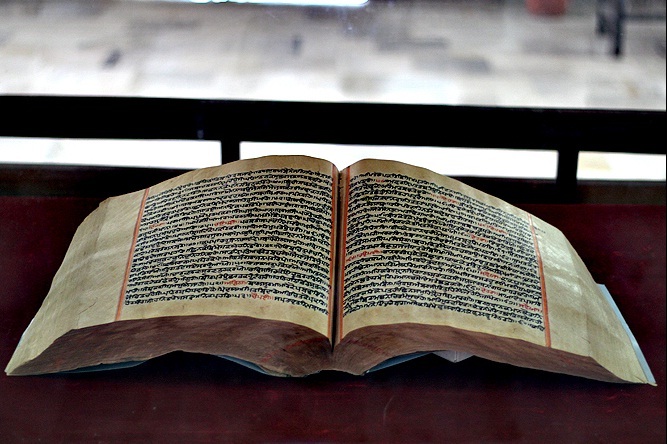 THE SIKH NUGGET: Manuscripts on display at National Museum of Pakistan. 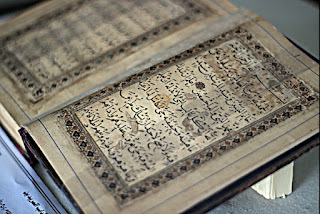 Manuscripts on display at National Museum of Pakistan. 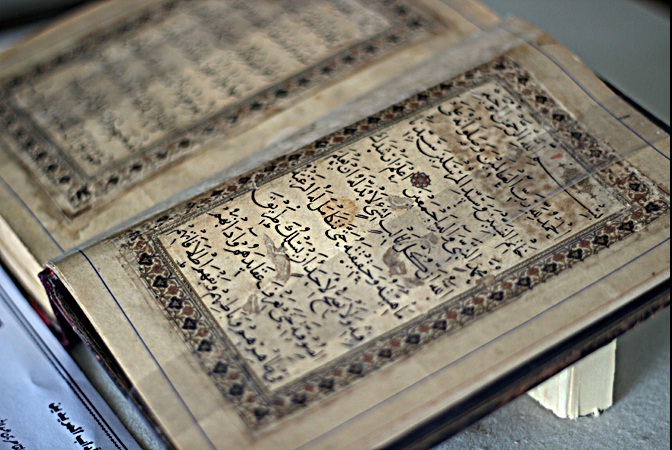 Over 50 highly rare and old manuscripts are put on display at a special exhibition inaugurated at the National Museum of Pakistan. The exhibition of manuscripts titled “Tasawwuf and Interfaith” organised by the Sindh culture department and the International Peace Committee for Interfaith Harmony will continue till Feb 26. One of the 50 manuscripts on display is over 1,000 years old, said to be the oldest one that the museum has, and another one is around 800 years old while the rest are three to four hundred years old. 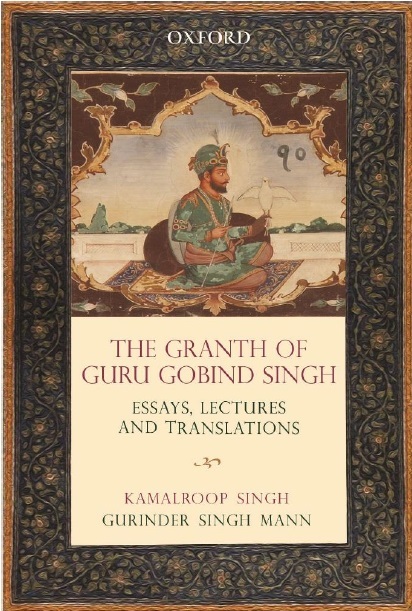 The manuscripts include various holy books of different religions, including Islam, Hinduism, Christianity and Sikhism.The manuscripts of the Quran, the Bhagavad Gita, the Bible and the Guru Granth Sahib are on display among other exhibits.The manuscripts of Shah Jo Risalo and texts on Tasawwuf are on display as well.One manuscript was of the Bhagavad Gita with translations in Sanskrit, Persian and Urdu. Another rare book on display was a translation of the Bible and commentary on it by Sir Syed Ahmed Khan. Earlier, a seminar was held where speakers pointed out that the Indian subcontinent in general and Sindh in particular was the land of love and peace where people of different religions had been living in harmony for the past many centuries.However, over the past few decades, extremism had made inroads into society and intolerance had spread, they added. They stressed the need for organising such seminars and workshops so that the message of love, peaceful coexistence and harmony could be spread.They said that efforts should be made to make the country like one the Quaid-i-Azam had envisioned.They said that all religions gave the message of love and peace. But it were only a few misguided souls who misused the name of religion to get their short-term gains and if saner elements of society joined hands and made concerted efforts, society could once again become like it had been earlier where everybody lived in peace and harmony. The speakers included Bishop Sadiq Danial, former MPA Michael Javed, Mohammad Ali Manjhi, Aijaz Chajhro, former city government councillor Mangla Sharma, Sardar Ramesh Singh, Mohammad Shah Bokhari, Dr Idrees Ahmed, Nasir Jehangir and others.